I have recently fitted a alloy rad & grs intercooler to my s2 it's now over heating! The fan is 10" kenlowe I'm thinking that maybe one fan is not enough? Should the fan be sucking or blowing? If I was to change the fan for twin fans what size fans fit 9"? Posted in the wrong section sorry!! What make alloy rad is it? Is it new? If not what condition is it in? (Creator) The rad is Pace and in good con and not blocked I haven't tried the old rad yet , (jano)I'm thinking about going for twin Kenlowe fans just not sure which size will fit on the intercooler? And if they should be blowing or sucking? 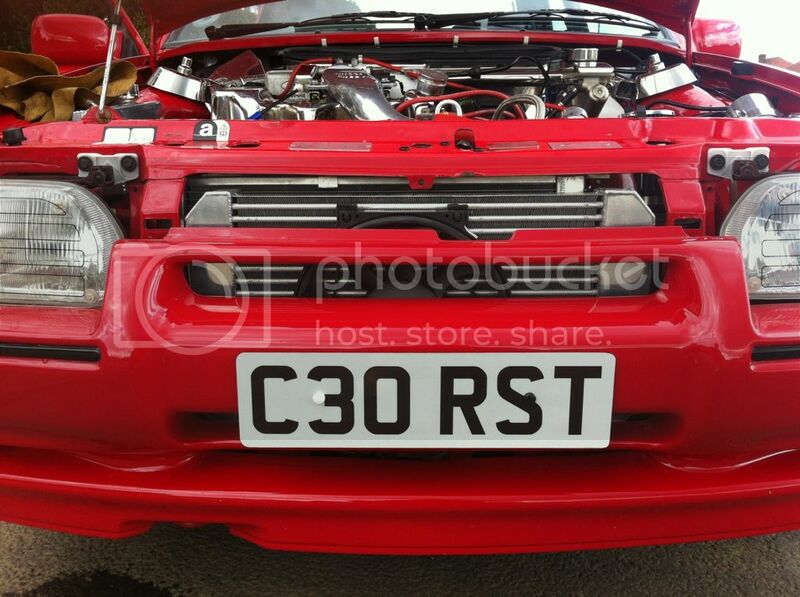 Would the fan on your xr3 fit behind the intercooler or does it need to go on the front? Does the bumper need cutting? Also I need a new thermostat not sure which to get ? It's defo coming up to be set up and tuned I just wanna get all the right bits first ! You need to blow through rad and cooler. fan I have requires the inside of the bumper removing just the foam which is very easy. this is so the motor fits into the bumper. if you want a pair of kenlows you need 10in fans. thermostat is 82degree with cosworth 2wd fan switch.